Have you got a dog that needs physical exercise and mental stimulation? Dog sports can help keep active dogs both physically and mentally healthy. All dogs need some degree of exercise, but most will thrive with extra stimulation. Very active dogs are ideal candidates for high-performance sports like agility and flyball, though almost any healthy dog can enjoy participation. When it comes to dog sports and recreation, there are plenty of options. Of course, make sure your dog has a thorough veterinary examination prior to starting any dog sport. Once your vet gives clearance, consider these popular dog sports that can challenge your dog's mind and body while reinforcing the canine-human bond. Canine agility is a competitive dog sport that takes place within an obstacle course. Dogs are trained to make jumps, travel through tunnels, and navigate various walkways--all in a specific order. Each step of the way, the dogs are directed by their handlers (often their owners). This sport requires effective communication between the dog and the handler. 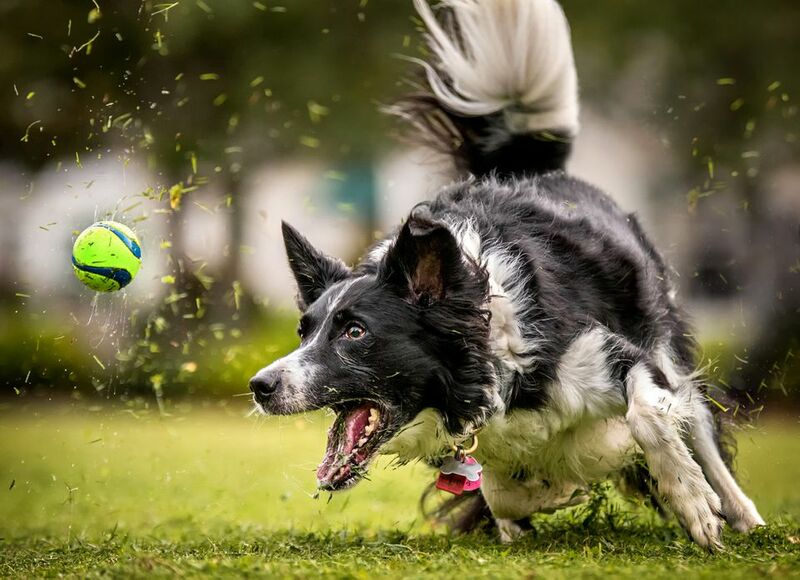 Agility is an excellent form of exercise and mental stimulation, making it ideal for high-energy dogs like Border Collies and Australian Shepherds. However, just about any healthy dog can participate in agility. The intensity and difficulty of the course can be altered to accommodate dogs with limitations or special needs. Teamwork between dog and human is the cornerstone of this sport. Canine Freestyle is a choreographed musical performance by a dog/handler team. Like it sounds, this activity is essentially dancing with a dog. As implied by its name, in canine freestyle almost anything goes. Basically, any move is allowed unless it puts the dog or handler in danger. Routines typically involve the dog performing twists & turns, weaving through the handler's legs, walking backward, jumping, and moving in sync with the handler. Canine Freestyle requires a deep bond between handler and dog as well as a mastery of basic cues, especially the heel command. Before putting a routine together, the dog must first learn each individual "move." A dash of creativity, plenty of patience, and a positive attitude will go a long way in canine freestyle. Conformation is a competitive dog activity during which purebred dogs are presented in dog shows and judged for accordance with their respective breed standards. Conformation trials, or dog shows, are designed to display purebred dogs with ideal characteristics of their respective breeds as determined by a purebred dog association such as the American Kennel Club or the United Kennel Club. Ultimately, the goal of conformation is to maintain the highest standards of the dog breed so that future lines remain of the highest quality and inherited health issues are minimized. During confirmation trials, show dogs are judged by knowledgeable and experienced purebred experts who assess the dogs' physical characteristics, gait, and temperament. To become a successful disc dog team, the handler must be able to properly throw a disc, controlling the distance and direction. The dog can then be trained to chase and catch the disc. High-energy dogs like Australian Shepherds and Border Collies make excellent disc dogs. During distance competition, the field is broken into zones by yard. Scoring is based on the zone in which the disc is caught. Freestyle events are judged and scored based on a predetermined point system. Rules and scoring vary with each disc dog group, club or association. Also called dock diving, dock jumping is a competition where dogs jump from a dock into a body of water in an attempt to achieve great distance or height. Dock jumping is much like the human long jump or high jump, but with water. The best dogs for this sport are high-energy dogs that love water, like Labrador Retrievers. In distance jumping, or "Ultimate Air," the handler throws a toy off of the dock in an attempt to get the dog to jump as far away as possible. Distance is measured at the place where the tail base meets the water. Jumps are usually recorded digitally for accuracy. The newer "Ultimate Vertical" is a high jump. A bumper is placed at a predetermined height. As competing dogs reach it, the height is recorded and the bumper is moved up. The winner is the only dog that can reach the bumper at its highest position. The sport of flyball is a type of relay race that involves teams of four dogs. One dog from each team runs down a course, jumping hurdles, towards the "flyball box." The dog steps on a panel and triggers the flyball box to release a tennis ball. The dog then brings the ball back over the hurdles to its handler. Once a dog has completed the course, the next dog is released from the starting line. The first team to have all four dogs complete the course wins. The game is played in several heats. Flyball is a great way for your dog to enjoy time with other dogs, plus a nice way for you to meet other dog owners. Virtually any healthy dog that loves balls can play this game. Herding is an instinct for dogs in the herding group; it is the way they were bred. Sometimes, even some non-herding dog breeds or mixes will show an instinct for herding. Because many dogs live in urban or suburban areas rather than farms, the opportunity for herding is not presented. Enter the herding competition. Most dogs that possess the instinct to herd absolutely love it. Training and trials are great ways to let them act out on instinct and have the time of their lives. Trials involve the dog, a group of animals (often sheep), handlers and judges. The handlers give commands and the dogs work their magic. If you think your dog would enjoy herding, there are probably herding groups in your area to contact regarding training and competition. Lure coursing is a fast-paced chase sport that was developed as an alternative to hare coursing. Rather than chasing a live animal, dogs chase an artificial lure across a field, compete for best time. Sometimes, obstacles are involved in the race. While traditionally limited to sighthounds like Greyhounds and Whippets, all-breed lure coursing groups are becoming more common. Lure coursing is an ideal activity to allow your dog to act upon his chasing instinct in a safe, humane way. In Rally Obedience, dog/handler teams must complete a course made up of signs describing specific obedience exercises to perform. Judges design the course and observe as the teams swiftly navigate the course. Rally Obedience rules tend to be less strict than traditional obedience competitions. Typically, Rally competition is open to all breeds. Trials usually have several levels, and teams compete for titles and championships. For more information, check out APDT Rally and AKC Rally. You probably have noticed that your dog's nose is his most dominant sense. Most dogs want to follow their noses. Why not turn this talent into a fun and challenging activity? A tracking trial is a type of test that requires a dog to follow a scent trail. These events mimic search-and-rescue missions, assessing the dog's natural ability and willingness to follow a trail left by human footsteps. Dogs and their handlers often enjoy this work, and success can open doors to pursue real-life search-and-rescue work.